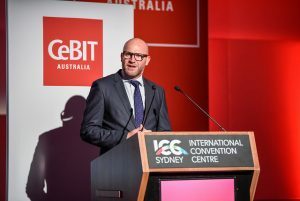 CeBIT Australia, the largest and longest running business technology event in the Asia Pacific region, kicked off today, attracting thousands of business leaders passionate about the role technology will play in their future success and bringing together the greatest minds to forecast the changing landscape of business. The Hon. 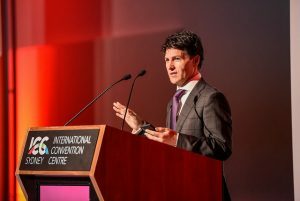 Victor Dominello, MP, NSW Minister for Finance, Services and Property, presented in the opening plenary, commenting on the growth of NSW as a powerhouse economic state, and how the NSW Government is achieving superior customer service through real time digital transformations. 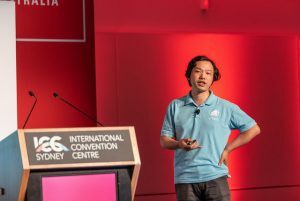 “If NSW is strong then Australia is strong, and it is. We have a duty, if not an obligation, to remain forward thinking and innovative. 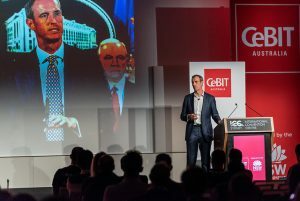 Digital transformation is more than just the mere implementation of the technology, is it about planning a better city, improving health care, protecting the environment, generating real world outcomes,” said Mr Dominello. 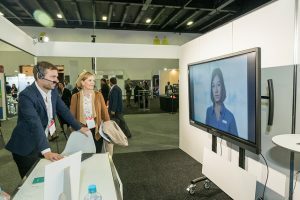 Joining over 80 start-ups on the CeBIT Australia exhibition showfloor, is FaceMe, a digital human platform, showcasing the next wave of digital employees, capable of responding to customer service enquiries with empathy and personalisation.